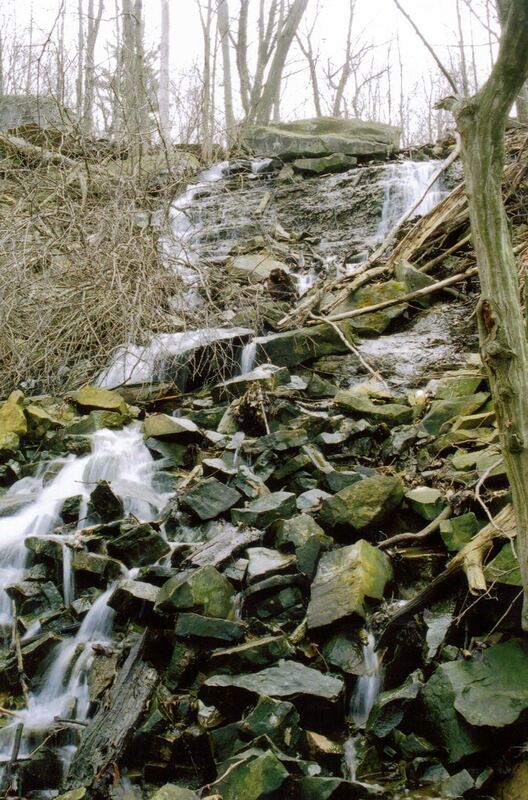 Sisters of Mary Falls is located on a tributary of the Sulphur Creek which is sometimes called Canterbury Creek. 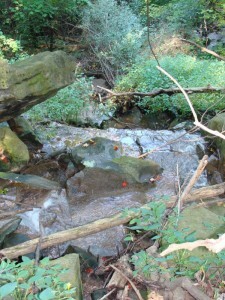 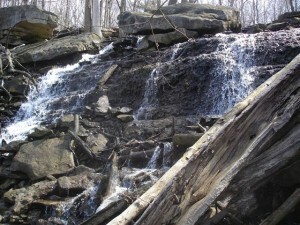 It is located upstream of Canterbury Falls, thus the alternate name of Upper Canterbury Falls. It is situated on the property owned by the Sisters of Mount Mary Immaculate convent/school complex in the Ancaster section of Hamilton. 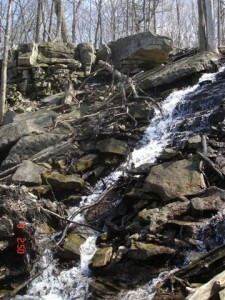 Sisters of Mary Falls is considered a Talus Ribbon Cascade. 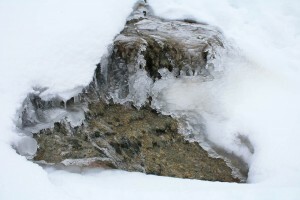 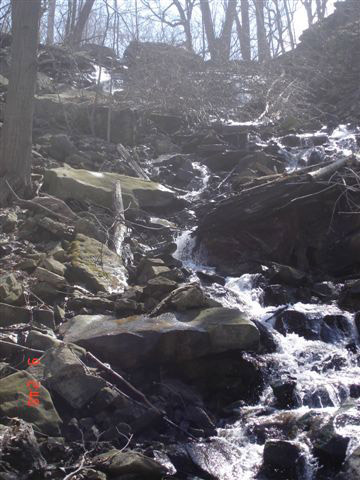 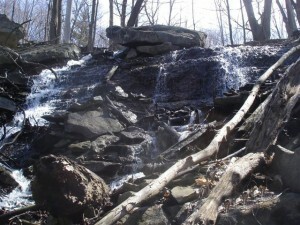 However, a large rock at the top has given it the appearance of a Twin Talus Ribbon Cascade, as this rock diverts the water around both sides of it. 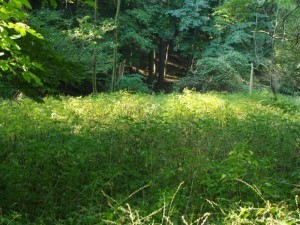 Its height is 15.7 metres (51 feet) and its crest width is 5 metres (16 feet) due to the twin nature at the top. 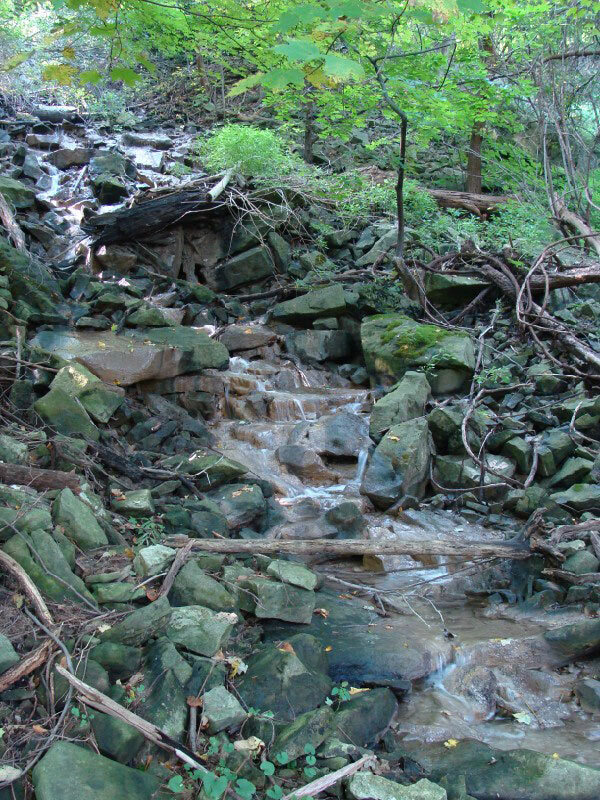 The Hamilton Waterfall Group only became aware of this waterfall following one of Joe Hollick’s talks on the Waterfalls of Hamilton. In Spring 2007, after doing his talk for the Bruce Duncan Memorial Lecture Series for the Giant’s Rib Discovery Centre, one person by the name of Cam told Joe that there was one waterfall he had seen that was not in the slide show. After receiving directions, Joe located it shortly afterward. 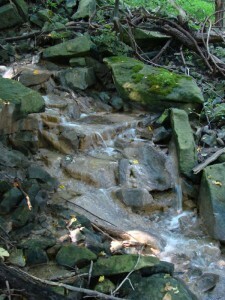 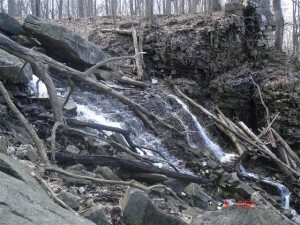 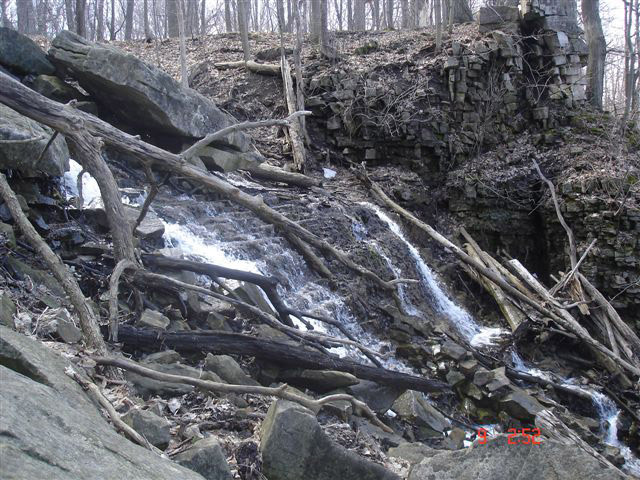 To reach this waterfall, park at the Ancaster Old Mill Restaurant upper parking lot on the right side (on Old Dundas Rd. 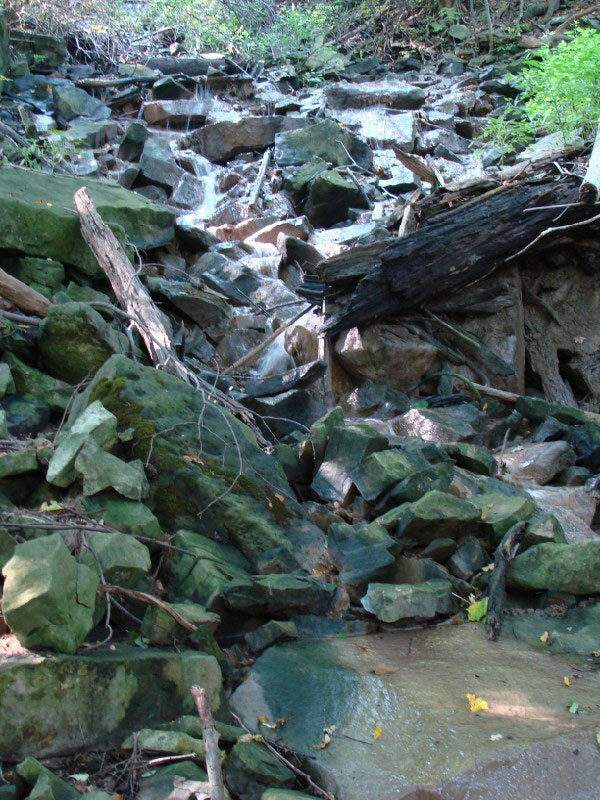 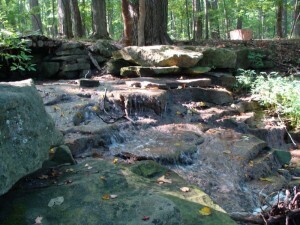 ), follow the Heritage Trail located beside Ontario St. At the bend in the trail, cut across the field and stay close to the escarpment until you reach the waterfall. 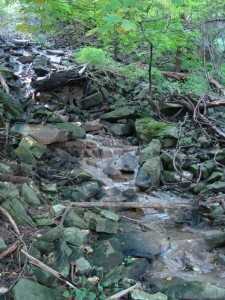 Alternately, the Heritage Trail comes beside a private trail before this bend and this private trail (on the Sisters of Mary property) leads to Sisters of Mary Falls.